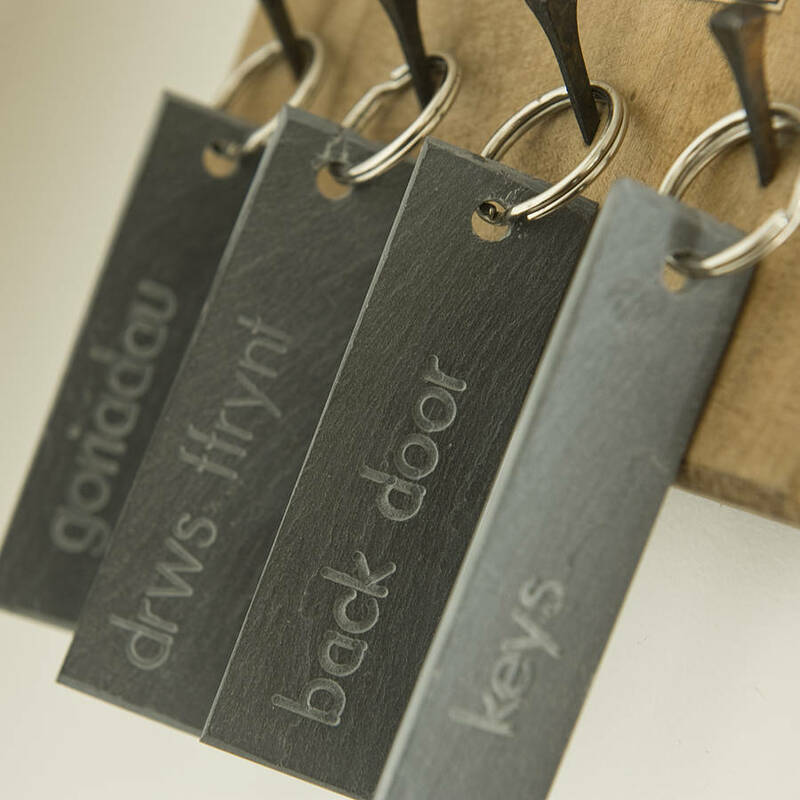 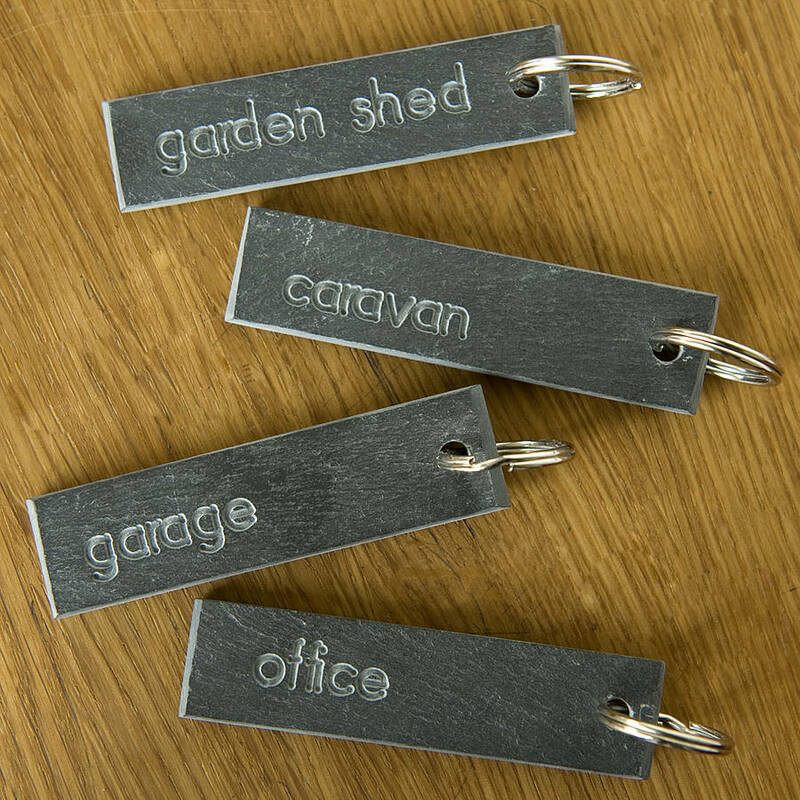 Handmade Welsh slate keyrings engraved with the words for all your household keys. 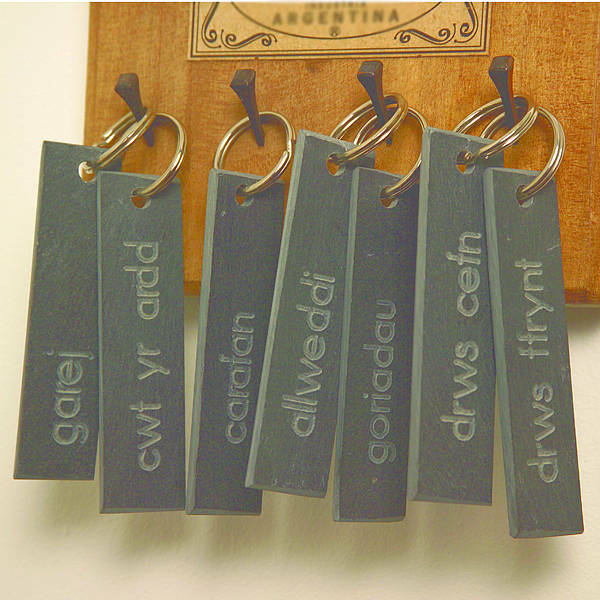 Available in either English or Welsh - front door, back door, garage, garden shed, caravan, office and the word 'keys' in both North Wales and South Wales dialects. 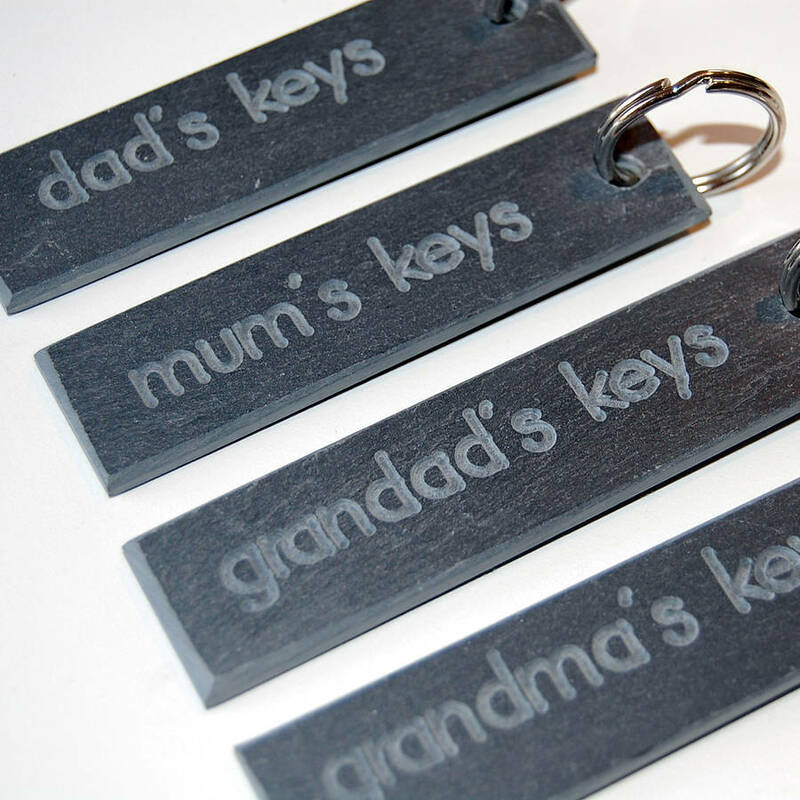 Also available for mum, dad, grandma and grandad's keys. 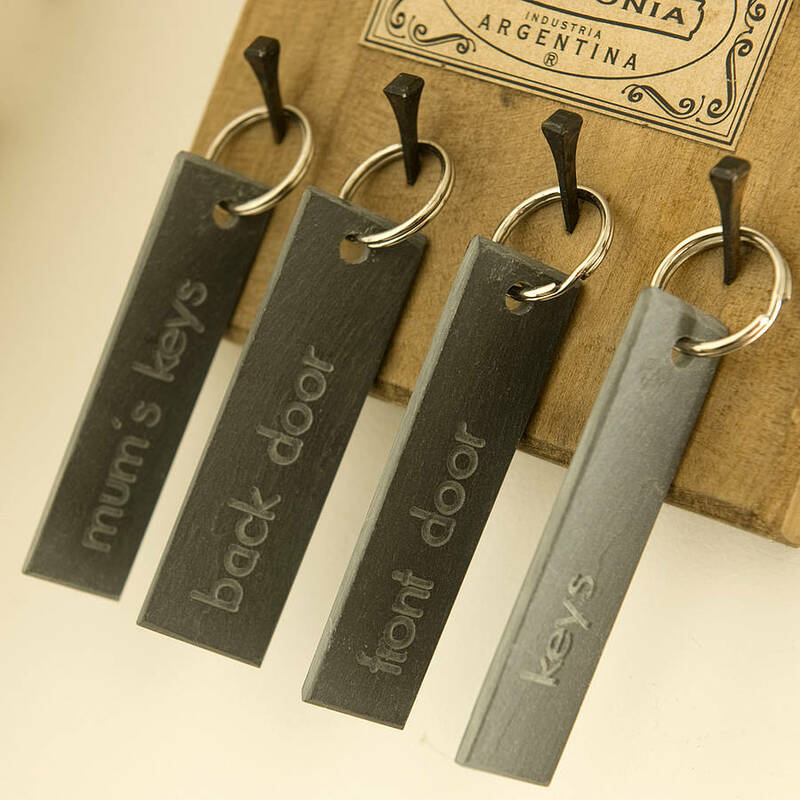 Great stocking filler or new home present and perfect for a man who has everything. 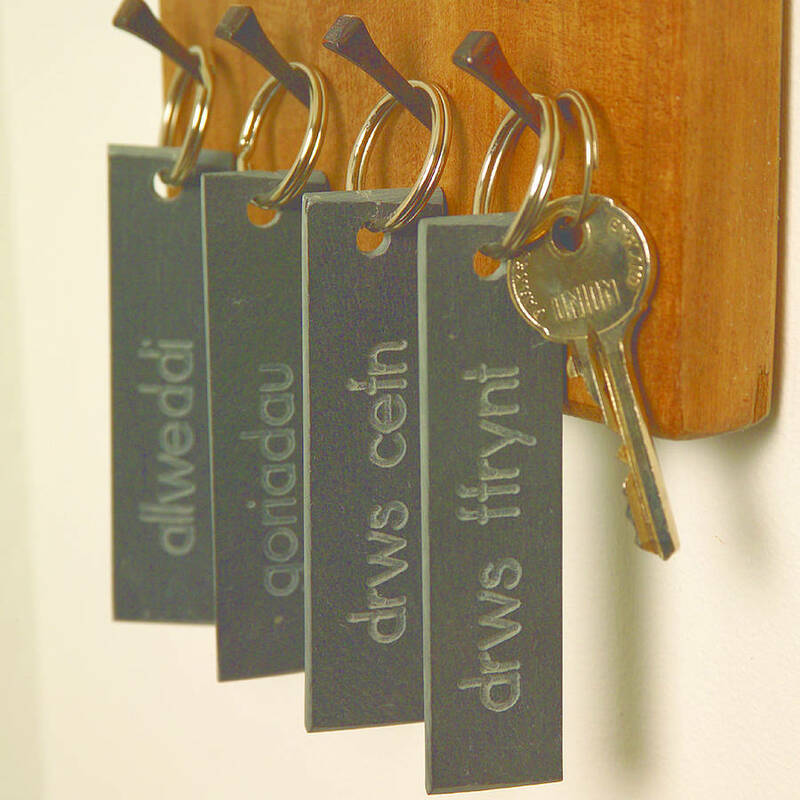 Never lose those keys again! 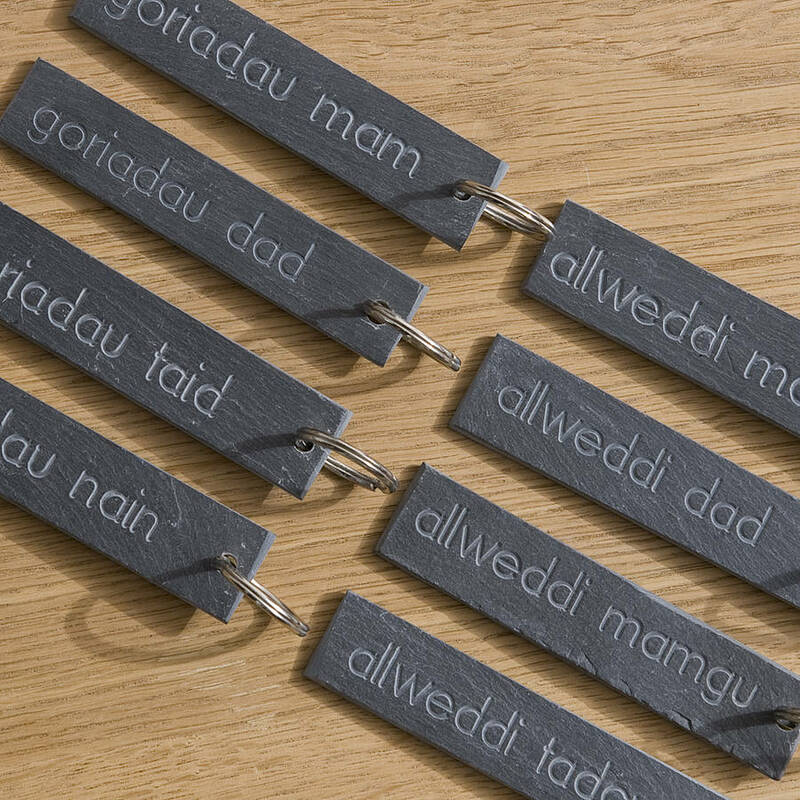 Handmade in Wales exclusively for Adra using Welsh slate.